Only one Englishman has ever been pope. That was Nicholas Breakspear, known to history as Adrian IV. 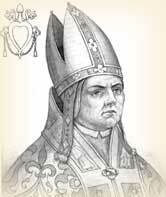 He ascended the papal throne on this day, December 4, 1154. His reign was challenged by such serious difficulties that he wished aloud to his friend John of Salisbury that he had never left England. Nicholas was born around 1100 and reared near St. Albans in Hertfordshire, England. He asked to be admitted to the famous abbey near his birthplace, but was turned away because of his skimpy education. Around 1125, he attended Merton Priory. A Saxon, he stood little chance of advancement in Norman-controlled England, and so he sailed to France to study in Arles. Either the abbey of St. Albans had failed to see the merits of their native son, or else the rejection spurred him to redoubled efforts. For when Nicholas visited the monastery of St. Rufus near Avignon, he was asked to stay, and in due course became its abbot. 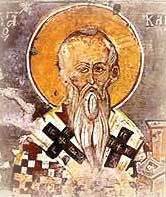 The business of the monastery took him to Rome where Pope Eugenius III also saw promise in the Saxon exile. He would not allow him to return to St. Rufus, but kept him in Rome and made him a cardinal. Among the tasks he charged him with was establishing the archbishopric in Norway. 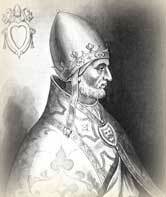 Shortly after his return to Rome, Nicholas was elected pope, taking the name Adrian IV. 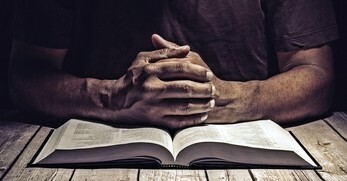 His troubled reign is a sobering example of why scripture commands us to pray for our leaders. Arnold of Brescia, King William of Sicily, Frederick Barbarossa and the Italian barons gave the English pope fits. Arnold's followers took Rome. After they assassinated Cardinal Gerardus in broad daylight, Adrian broke all precedent and placed the city under interdict. Eventually it capitulated to him. Frederick Barbarossa desired that Adrian crown him emperor but Adrian insisted that the red-beard (that is what "Barbarossa" means) honor him by holding his stirrup while he mounted his horse. Frederick refused until he learned that emperor Lothair had done the same for an earlier pope. However, he purposely played his role so awkwardly that the crowd roared with laughter. Adrian crowned Frederick, a move so unpopular that battle with the Romans broke out during the ceremony. Frederick won that fight, but had to beat a hasty retreat soon afterwards. Then it was King William's turn to tussle with the pope. Victorious on the battlefield, he forced him into concessions. 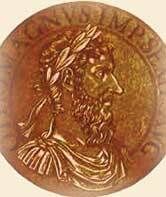 This in turn enraged Emperor Frederick Barbarossa, who claimed dominion over some of the lands the pope was giving to William. Adrian formed a league with the Lombards against the emperor. 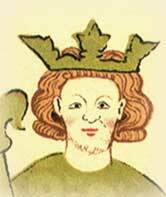 Adrian's most controversial act was a bull that allowed Henry II of England to annex Ireland to his kingdom. 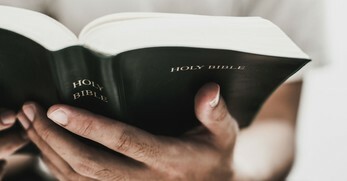 "...[S]trive to imbue that people with good morals, and bring it to pass, as well through yourself as through those whom you know from their faith, doctrine, and course of life to be fit for such a work, that the church may there be adorned, the Christian religion planted and made to grow, and the things which pertain to the honor of God and to salvation be so ordered that you may merit to obtain an abundant and lasting reward from God, and on earth a name glorious throughout the ages," he wrote the king. That decision left an aftertaste of bitterness that lingers to this day, more than 800 years later. It resulted in misery and conflict for both Ireland and England. The pope based his authority on the Donation of Constantine, which was later shown to be a forgery. Although a few scholars deny that Adrian issued the troubling bull, the evidence is convincing that he did. Brusher, Joseph. Popes through the Ages. Princeton, N. J.: Van Nostrand, 1959. Clerigh, Arthur UA. "Pope Adrian IV." The Catholic Encyclopedia. New York: Robert Appleton, 1914. "Hadrian IV." 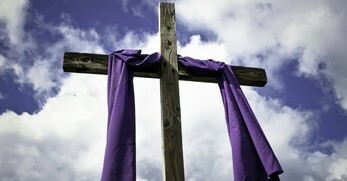 The Oxford Dictionary of the Christian Church. Edited by F. L. Cross and E. A. Livingstone. (Oxford, 1997). Montor, Chevalier Artaud de. Lives and Times of the Popes. New York: Catholic Publication Society of America, 1909. Various internet and encyclopedia articles.